The Lineaeffe Drop Shot Rod is a very elegant and delicate rod that is perfect for using light lures. The rod is built around a superb blank of Hi-Modulated Carbon, which delivers the necessary finesse for drop-shot style fishing, while holding all the power you need to land your catch with efficiency. The rod features quality SIC guides, split-cork handle and an ergonomically shaped EVA foam upper handle. It's the perfect rod for targeting Perch in your local river or Light Rock Fishing for various saltwater species such as Wrasse. 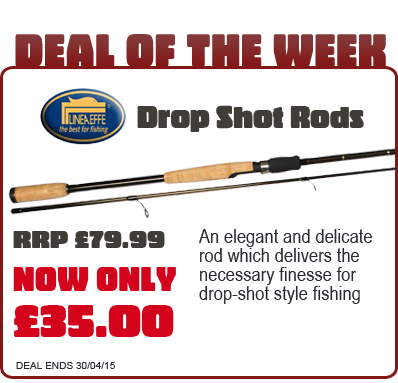 You can now grab this excellent rod for £35.00 but you better act fast as we have very limited stock available!